Publisher Desc. Familiar carols abound in this delightful original creation from Brad Green. It's veryplayable yet provides exceptional opportunities for sections of the band to really shine. 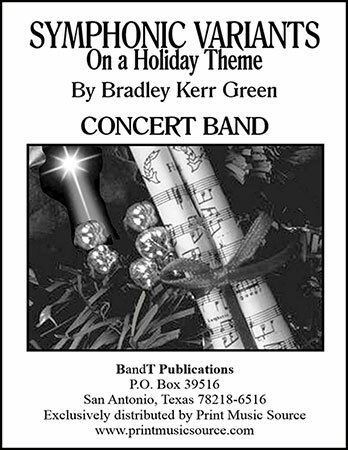 Ahighly musical and very creative work that will be a strong addition to anyHoliday/Christmas concert.